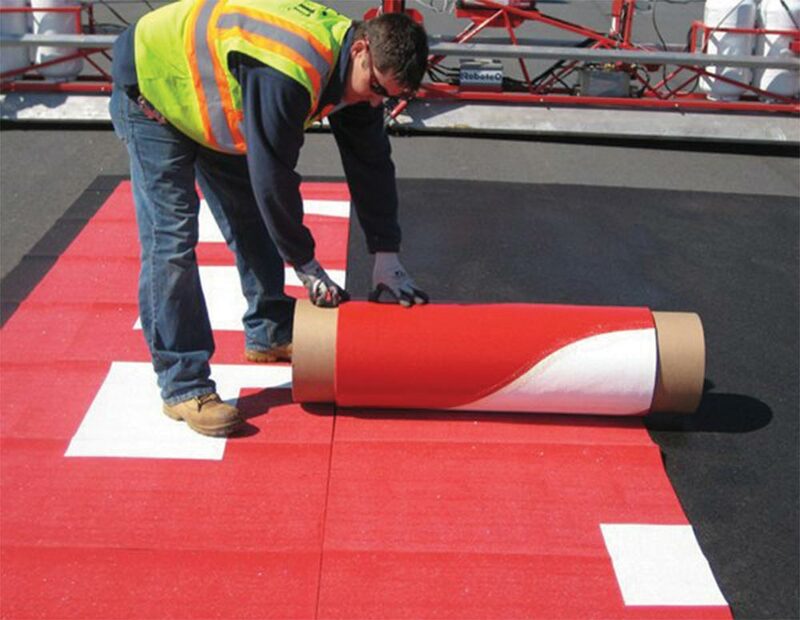 AirMark® is a durable preformed thermoplastic pavement marking material. 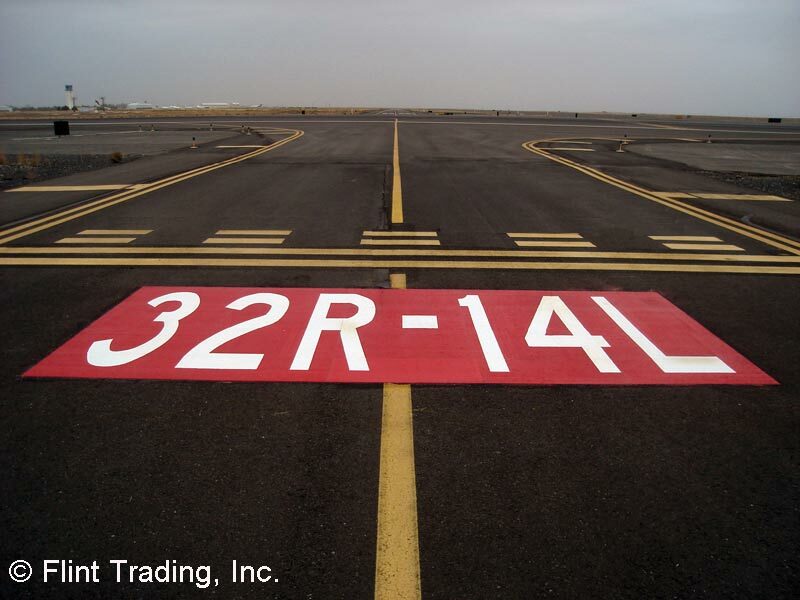 Whether the need is for linear delineation or horizontal surface signage, AirMark® is best suited for markings such as taxiway, hold position, geographic position, vehicle roadway, aprons, ramps, and at aircraft parking and tie downs. Retroreflective glass beads are mixed throughout material at time of manufacturing. As the marking wears new beads are exposed for retained retroreflectivity. 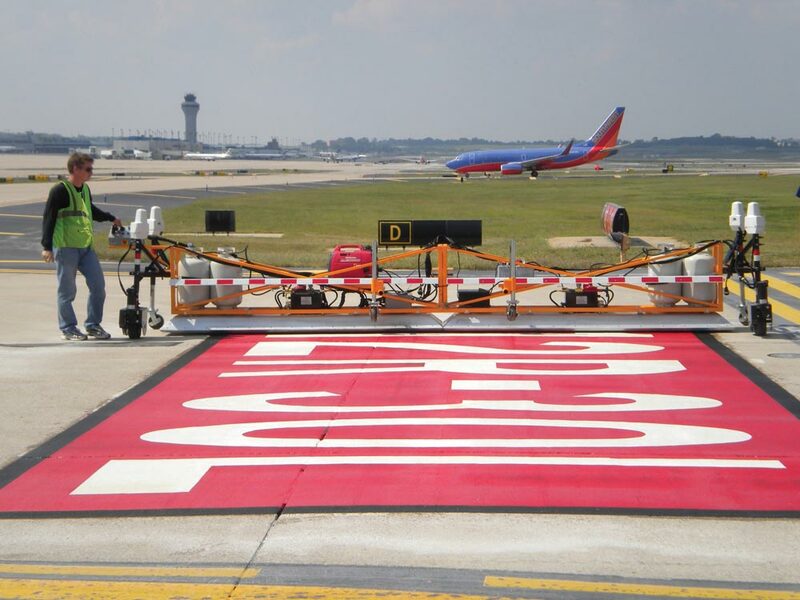 Resistant to aviation and motor fuels, lubricants, de-icers, etc.